Welcome to Varengold’s Daily FX Comment. Low-yielding currencies like the USD and the JPY started the day with positive performances while the Asian stocks fell this morning. However, we wish you good luck in trading. The USD and the JPY recovered from losses, as traders pulled out of speculation against the two funding currencies before the U.S. Thanksgiving holiday. The USD climbed against a basket of major currencies before a report may show that the U.S. economy expended at a slower pace than initially estimated. The U.S third-quarter gross domestic product is expected to show that the nation’s economy, which is the biggest in the world, climbed just 2.8 percent compared with the 3.5 percent estimate last month. The USD climbed against the EUR to 1.4953 after reaching its high at 1.4935. The USD also climbed to 0.9195 on its high against the AUD and to a peak at 0.7273 against the NZD. The JPY climbed against the USD after Asian stocks fell. It was the fourth loosing day of the last five trading days in a row for the Nikkei 225 Stock Average Index. Forced by a concern Japanese Banks will sell more shares to replenish capital and speculations that corporate profits will be squeezed after the government said the economy is in deflation for the first time in three years. The JPY climbed against the USD to 88.86. In the same time it rose against the AUD and NZD. The AUD/JPY fell to 81.85 and the NZD/JPY fell to 64.80. 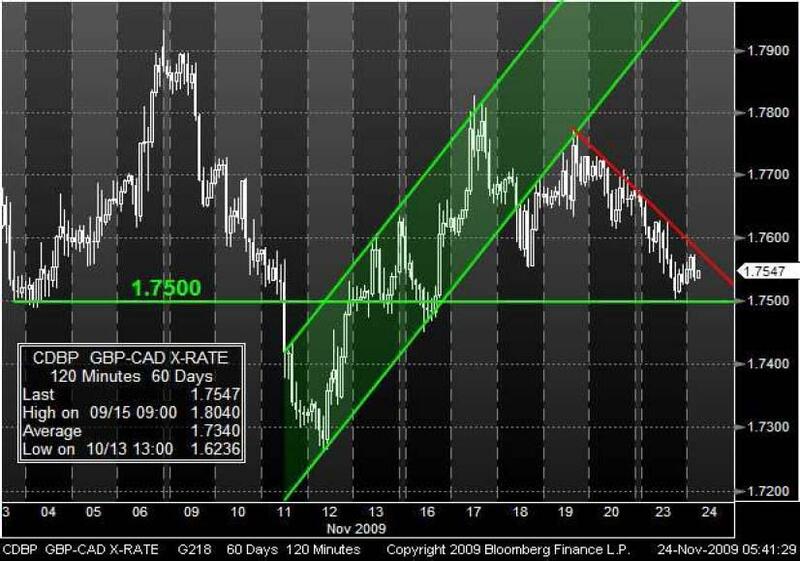 After running outside the bullish trend channel, the GBP/CAD reached the support level around 1.7500. The support level was established since the beginning of November after it was already in use as a resistance in October. If the market breaks through this technical and psychological support, it may continue falling close to the bearish trend line. 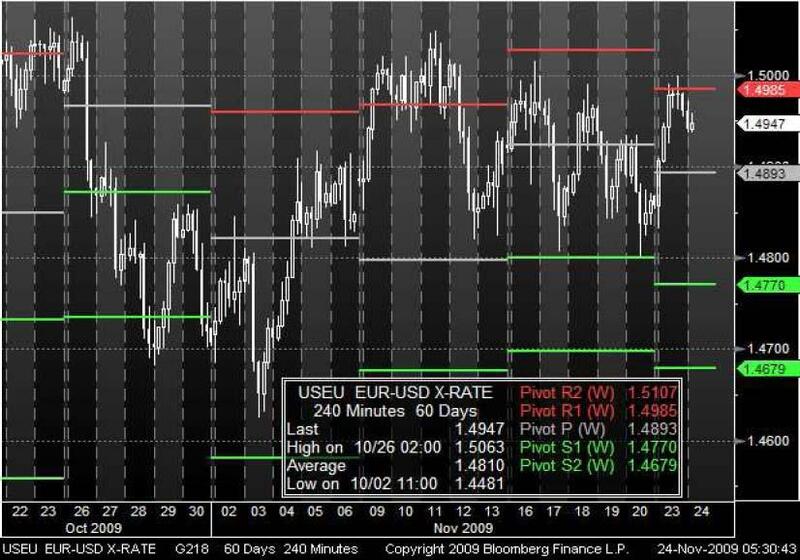 Last week the first weekly pivot support line was a significant support after the EUR/USD pulled back twice after it touched the level. This week the market has touched the first weekly pivot resistance around 1.4985 before turning back and trading around 1.4947. This may be a signal that the market move towards the middle pivot point, which is around 1.4893.